All marketers are looking for ways to improve their engagement online. A recent social media study from Buddy Media examined several branded Twitter accounts to look for patterns in which tweets perform better. The results were that seemingly small tweaks to your content can increase engagement for brands. These are all “good habits” you may heard before – but it’s nice to be able to put real numbers to each of these. Below is a list of 7 easy tweaks you can start applying to your Twitter communication right now to increase engagement for your brand. None of these tactics are going to work without strategy. Be sure to keep in mind the big picture as the foundation of all of your social media efforts. After you have these covered, the tweaks below will make an even bigger impact. You should have a primary goal for your social media efforts. It may be to drive traffic, increase leads, foster positive brand impression, aid customer service, get product feedback, recruit new employees, etc. Whatever your goal, that should be top of mind as you craft your messages and filter through what content you are creating and sharing online. The advantage of Twitter is that everything is happening in real time. It’s often better to just get your tweet out there into the wild instead of spend too much time worrying about the specifics. This is the same reason you may find yourself sitting at an event like a friend’s wedding, and see someone set down their fancy DSLR camera down to pick up an iPhone to get a real time shot to share with the world. Real time information is valuable, so don’t let the semantics scare you away from getting content out there quickly. To take full advantage of any social media platform or tool, you need to be sure you are measuring your efforts. Keep track of the cost (including time) and return of these tools. Are you getting traffic back to your site? Is that traffic converting into leads? Are you building postitive PR? What types of posts are the most engaging? These are all important questions to keep in mind as a foundation for all of your work online. Once you have the big three concepts above covered, these easy tweaks can help you improve engagement on Twitter. Twitter engagement is highest on the weekend, but most brands post during the week. Engagement rates for brands are 17% higher on Saturday and Sunday. Do this now: If you’re using a tool like Hootsuite or SproutSocial, schedule interesting tweets you would normally post during the week to post over the weekend and measure the results. The study shows that Twitter engagement is higher during the “busy hours” of 8 AM – 7 PM. This may be because Twitter is so real time – people want to be online while the action is happening, and run the risk of missing out otherwise (FOMO). Facebook posts, however, have a longer lifespan in the timeline (about 22 hours according to this study in late 2011 & more recently reported as 18 hours in this study in June 2012) than Twitter, so it makes sense that Facebook engagement is higher during the off hours of 8 PM – 7 AM. Facebook timeline uses an algorithm to determine which posts are most relevant to a user – so the lower competition at these times increases your see-ability. The old adage was “tweet when you eat” as a rule of thumb on when and how often to post. The BuddyMedia study found that the sweet spot for brands is 4 tweets per day. After that, the law of diminishing returns kicks in and you don’t get as much value for that 5th, 6th, and additional tweet. Do this now: Save those extra tweets for another day – maybe the weekend! Think strategically about what you will post each day to make sure each post gets time to be noticed and shared. Tweets under 100 characters have a 17% higher engagement rate than those taking the full 140. In general, short posts tend to get more attention online because short copy is easier to scan and digest. In PPC advertising, short ad headlines tend to get clicked more because they are designed to grab people’s attention faster. The other advantage of shorter tweets means you allow extra space for people to be able to retweet you without having to make changes to your original message. You do the editing for them the way you like. Tweets with links have 86% higher engagement. For most marketers, a primary goal of your social media efforts is to drive people back to your website. Including links back to the site is an obvious way to do this. Think of a hub and spoke – where your website is the hub and you are reaching out to engage and share information via the spokes. Tweets with hashtags gets twice the engagement of those without. This gives users context for your posts and allows them to quickly see related tweets. Be sure to keep your hashtags to 1 or 2 – at 3 or more hashtags, you see 17% drop in engagement. Posts with images have double the engagement as those without. People love visuals, especially in social media – so take advantage of this and include photos when you can! If you aren’t already, follow us on Twitter @Schipul and @Tendenci for more on web marketing resources and the latest updates from our company, clients, and community! Congratulations to NASA and @MarsCuriosity for a Perfect Mars Landing! If you’ve been busy watching the Olympics news on Twitter, you might have ran across another trending tweet stream @MarsCuriosity has been trending over the weekend as the Mars Lander “tweeted” the details of its last few days in space preparing to land on Mars. The Curiosity Mars Lander successfully touched down at approximately 12:14am central time Monday morning. At 12:32am central time, the lander tweeted its safe landing to over 600,000 followers. Curiosity also has around 147,000 Facebook Fans cheering on its mission on Mars. That’s a pretty impressive online fan base for a robot that’s millions of miles away. Do you think @AstroRobonaut is wondering how @MarsCuriosity managed to more followers than he did? I’m known at Schipul as the resident “Space Geek” but all of us were excited to hear about the safe landing, and we want to share our excitement for NASA’s incredible work with this Mars Lander mission. Two Extraordinary Accomplishments for NASA! Landing a robot on Mars is no easy task and comes with the added challenge of a 14 minute communication delay. And NASA made it look so easy this morning when Curiosity Mars Lander touched down on the red planet’s soil. Curiosity is the first Mars lander since the Phoenix mission in 2008. Curiosity is carrying some pretty advanced equipment to assist it with the mission objectives that include 17 cameras, an infrared lazer to vaporize small rocks, and x-ray vision plus many other advanced scientific equipment. Bring back data to help with planning a human mission to mars. In addition to successfully sending this Super Robot to Mars, NASA should be commended for its successful use of social media marketing to help revitalized the organization’s PR and community awareness. In addition to MarsCuriosity’s astounding number of followers and fans, @NASA has over 2.5 million fans, has had its YouTube videos watched over 33 million times, and has photographs that you can’t find anyplace on Earth on the official NASA photographer Flickr. NASA has used social media to grow a huge following of space enthusiasts and has integrated social media throughout their website and other media outlets. If you head over to NASA’s Social Media Connect Page you’ll find hundreds of accounts for various projects and NASA employees across a dozen different social platforms including Google, Twitter, Facebook, Flickr, Youtube, and more. If you’re struggle with managing your organization’s social media marketing and staying on top of what’s being said about you and by whom on the internet, you might take a cue from what the digital media team at NASA is doing because they are doing it right. Learn how NASA turned reluctant employees into social media stars to enable NASA to expand its digital marketing efforts on August 31st at the Houston Social Media Breakfast Club. Amiko Kauderer, NASA’s Social Media Lead and Web Manager at the Johnson Space Center, will share her strategy to engage employees to become active social media users to build your brand, balance employee participation with management concerns, and more… (we’re hoping she might tell us who is behind @MarsCuriosity’s twitter persona). Amiko has over 14 years of experience in digital marketing and communications, and among her many responsibilities at NASA, she manages multiple NASA social media accounts, including the @NASA_Johnson twitter account and teaches the astronauts how to tweet. Johnson Space Center will be the host for the Ragan Conference “Social Media” for Government Communicators this September. The conference will focus on social media strategies specific to those in government roles that involve public relations, marketing, and communications. Learn more and register on the Ragan conference website. Good luck, Curiosity! We are excited to see what you’ll send us next. Is Facebook’s Latest Update a Gamechanger? Facebook makes changes to the way the network works on the daily. I do my best to stay up to speed, and I’m normally pretty polar in how I feel about an algorithm update here or an interface change there, but Facebook’s latest major announcement has me teetering. Here’s what’s going on. . .
You can subscribe to Public status updates from people you are not Facebook friends with. You can choose what kind of updates you see from your current Facebook friends. You can choose to subscribe to All Updates, Most Updates or Only Important Updates. You can allow people who aren’t your friends to subscribe to your Public Facebook status updates. Don’t worry, you have to opt in for this to be available to those who stumble across your Facebook profile. You can subscribe to a celebrity or famous blogger’s Public status updates. They’ll likely never make Facebook friends with you, and now you don’t have to troll their profiles to see what they are publishing publicly. You can trim your newsfeed down to the status updates that really interest you. For example, if the girl who sat behind you in Sophomore Chemistry updates her Facebook every time her cat sneezes, you can choose to see ‘Only Importantâ€ updates from her without feeling badly about hiding or unfriending her (but if she really updates every time her cat sneezes, you really shouldn’t feel badly about unfriending her. Just sayin). You can also subscribe to specific types of content your friends are posting. Choices are Life Events, Status Updates, Photos and Videos, and Games. For personal marketing purposes, you can extend the number of people who read your content by allowing non-friends to subscribe to your feeds. This way, if you would like anyone in the world to easily access to knowledge you share regarding specific topics, but don’t want to be friends with the whole world, you can allow other Facebook users to subscribe to your public content. Being able to subscribe to their personal pages seems to dilute the purpose of the fan page. Seeing as most celebrities share what they want the world to know via their public fan pages, what new content would I really be subscribing to here? I know that this feature doesn’t just apply to major celebrities, but you get the point. Lines are getting greyer here. Could be a good thing, but my gut reaction is to feel a tad uneasy. I really appreciate getting to trim down what I see from which friends. This is cool, and by far the best part of this new feature. But honestly, Facebook, I’m not inclined to use it, because you’re just going to change it up in two weeks anyway. Hello, Twitter, is that you? Let’s look at the numbers: Facebook has 750 million active users. Twitter just announced that it reached the 100 million active users milestone. If I were to make the assumption that everyone on Twitter is also on Facebook, I could reasonably assume that 650 million of the active users on Facebook are NOT interested in Twitter. So, why are we trying to make Facebook more like Twitter?! Well, that about sums up my point there. Those are my two cents on this update. I’d love to hear yours. If you’re interested, you can follow my public content on Twitter, which is where I will continue to focus on posting it until I see Facebook embrace the subscription thing for personal marketing. Tweets in Space – NASA Promotes the Final Shuttle Launch Online! This Friday July 8th marks a historic moment in both U.S. History and the story of Humanity when the Space Shuttle Atlantis launches to carry supplies to the ISS-Station in orbit around Earth. 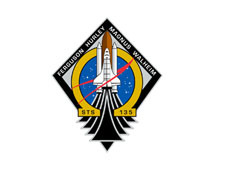 NASA’s space shuttle program will conclude with mission STS-135. I am super excited to have the opportunity to view the launch from Kennedy Space Center Friday morning. For those of you who cannot make the trip – there are a number of awesome online outlets including twitter, NASA TV, Facebook and more to hear updates, watch the countdown and launch, and hear directly from the astronauts as they prepare to launch into space. First, if you are relatively new to twitter or want a quick refresher course, check out Schipul’s Twitter Speak Help File. If you want more than just 140 character updates, you can head to NASA Connect to find dozens of other official NASA social networking sites including the official NASA Facebook Page, and NASA Headquarters Flickr account including a collection devoted to the Space Shuttle program as well as many other social sites. Then, on Friday morning watch the shuttle launch live online on NASA TV. The launch is currently scheduled for 11:28 AM EST. That’s 10:28 AM CST for those of you in Houston and 8:28 AM PST for all of you in California. Finally, I want to include a couple of great non-NASA organizations that will be tweeting and uploading photos and video from the launch site in Florida too. Both of these organizations are focused on sharing the excitement of space exploration and all things space with others and are extremely active on the web. The Space Tweep Society is an organization whose mission is to connect those inside the space industry with those on the outside looking in and generate enthusiasm for all things space. You can find the Space Tweep’s on twitter, Facebook, and Flickr. SpaceUp is a new organization that hosts “un-conferences” focused on space-related topics all over the country including Houston, Los Angeles, San Diego, Washington DC and Minneapolis. You will find a number of organizers and volunteers from the different SpaceUp cities in Florida this week for STS-135. Want a play-by-play? You can follow me on twitter: @SarahMWorthy as I tweet throughout the events leading up to the launch with all the other Space Geeks. Before the launch, I urge you to go check out TEDxNASA in Silicon Valley and register for FREE if you can attend. This official TEDx event will be August 17th, 2011 in San Francisco, California. I was honored to attend the recent TEDx Houston event last month and definitely want to see all of you at TEDxNASA if you can make the trip to San Francisco next month! But it’s easy, isn’t it? It really easy. You don’t have to leave your computer. You have an infinite number of shots. You can throw as many notecards at the wallâ€”when you have an unlimited number of notecards, you just know eventually something will stick. To use a military metaphor, there is no substitute for on the ground intelligence. To not use a metaphor at all: There is no substitute for face-to-face meetings. For phone calls over e-mails. There is no substitute for getting out of your chair and attending a conference, or speaking at a luncheon, or for taking a client out for lunch. This is what I call Analog Marketing. It’s you being youâ€”all your awkward mannerisms, all your beautiful eyes, all your suits that fit slightly off your shoulder, all your quirks and the cadence of the way you speak. It’s getting on the ground and doing the tangible work that will support your digital marketing. And for that, there is no substitute. Like and Share everything you can. Go viral. Ask for retweets. Do the best you can.2 But in reality, companies don’t have an infinite number of notecards to throw. Companies have to be selective in what they do. They have to make profitable decisions. And the most profitable, sustainable decision a company can make is to put their people on the ground. I recently had the pleasure of giving a guest lecture at a Public Relations class with co-worker Albert Hughes at his alma mater Prairie View A&M. It was the impetus for writing this piece. but also provide them with the best technology to solve their problem. One of the solutions our company employs is the content management system Drupal4. We believe in its infinite flexibility, its community, and it is often times the perfect solution to a potential client’s website that needs to be extremely custom. the Drupal community is definitely doing it. Albert effectively “brought” Drupal to our company as a solution. He had been messing around with it in his personal time, and when a client approached us about a website, he immediately knew Drupal could solve the client’s problem. It did. Drupal Rap Video – Schipulcon09 from Schipul – The Web Marketing Co. on Vimeo. Rapping about Drupal is a pretty absurd concept, but it worked. Founder and creator of Drupal, Dries Buytaert, saw it and put it on his blog. The plays on the video sky-rocketed. Albert and I went to DrupalCon that year, and because of the video, people recognized him. He began to cultivate relationships based off his non-Web-based talent. It established him as part of the Drupal community, albeit in a weird way. It showed a love for the product, and the people responded. Since we had met Dries, we e-mailed him again and asked him to watch the video figuring he would enjoy it. To our intense thanks, he loved it so much he posted it on his blog again. This was two days before DrupalCon. Here’s where Analog Marketing comes in. We didn’t want the initial push and hype of a mere blog post to stop people from watching the video. We wanted to be a part of the Drupal Community, and we wanted to give backâ€”as I said earlierâ€”albeit in a weird way. Our idea was this: Print a bunch of moocards (half-sized business cards, halved hot dog not hamburger) with a bit.ly link that pointed to the video. That was it. The only thing on it was this: bit.ly/drupalmonster. When we got to DrupalCon, we had 1,500 printed out at a local Kinko’s, and old-school guerilla-style, handed them out to everything and everyone. We put them on tables. We gave them to Drupal fanatics, we gave them to concierges at our hotel, we gave them to people we’d meet eating lunch at a local pub. But as we gave them out, we talked to them about Drupal. What they loved, what they didn’t. Some had more to say than others, but we tried to connect with them on some level. Given a captive Drupal audience, this was somewhat easy. (“Hey, we wrote and produced a Drupal rap music video” said to someone who uses Drupal raises an eyebrowâ€”it doesn’t make a lot of sense.) It was a little harder when trying to convince a hostess at the hotel it was worth her time. But I saw that same hostess the next day and she called me over and said that not only did she watch it, but she pulled her co-workers aside and they watched it. Eventually, her boss saw it too. And as she was telling me this, her boss came over and complimented us on the video, and I got to compliment the hostess for being a good sport and actually taking the moocard back and watching the video. If there was ever any epic display of Analog Marketing, it exists on the corner of Trinity and 4th St. during the Interactive portion of SXSW. I had the pleasure of attending for the third year in a row, and each year, it seems this spot between the Austin Convention Center and Champions Bar gets busier and busier. If you’ve never had the pleasure of attending, at this spot and immediately entering the convention center, there are literally hundreds of people handing out any number of things: party invites, QR codes, half-clad women giving you a card with a free trial code on it. It’s Analog Marketing, for sure, but it’s the “Facebook” equivalent of the concept. You have an infinite targeted audience and, most likely, and infinite number of notecards to throw at a wall. So you start throwing. Companies know SXSWi is an important cornerstone in networking. The sessions are always hit-and-miss, but there’s always one thing you can rely on: People. People are the cornerstone of any business. If you have no buyers, there is no company. The only thing this version of Analog Marketing lacks is the connection. Most of the time, the people are in a hurry. They’re trying to get from Point A to Point B in as quick a time as possibleâ€”the marketer barely has time to hand them a card (one of many they’ve gotten in the past 30 seconds), let alone have a conversation with them about their needs and how the marketer’s product could possibly solve their problems. It’s a lot harder to get mad and permanently leave your best friend. His intent is this: When we talk to clients, we try to be their friends. They literally pay our paychecks. Being honest, ethical, and doing good are cornerstones of our company’s foundation, so when a new client comes in, we get the blessing of helping their business not only survive, but thrive. That’s our job; it’s why people hire us. In return, they pay our paycheck which allows us to do all the things we love to do when we’re not working. It’s a win/win6. When you have a good rapport with a client, they’re less likely to leave you. You can be absolutely honest with them, speak with candorâ€”and with those two combinedâ€”have real conversations about what they need their website to do and how we need to accomplish it. Along the way, you become their friend. You begin to respect each other. You begin to bring in the client’s business as your own; when they succeed, we succeeded. And as they grow and trust you more, they’re less likely to leave. You’ve established a level of trust that has absolutely nothing to do with Digital Marketing. Something you could never buy and something you could never “Like” or “Share” on Facebook. Those things are all part of it, but at the end of the day, you need Analog Marketers to cultivate your relationship with your consumers. This is the definition of Analog Marketing. I spoke in Houston once about The Next Generation Website at the Social Media Breakfast Houston. A man was there whom I had never met, nor had the chance to meet after my talk, but called our office later that same day. Our top sales-person, Courtney Pemberton, fielded the call and fell in love with them; it wasn’t even about “selling” to them in the conventional sense. They were Girouard’s General Store, who have the claim of the oldest general store in Texas. Due to my public speaking and Courtney’s expertise, they signed on as a client in an incredibly short amount of time. At the time of writing, their site is still in development, but Courtney has gone out of her way, having fun with the client, because she likes them. Both the project manager and Courtney went to their store and took pictures of everything they could find because it’s such a cool place. She brought the pictures back and in design meetings, the designers fell in love with the place as well, experiencing it through the pictures they took, but also the excitement in the employees’ voices. And when their designs are approved, and their content is added, and their site goes live, our tasks accomplished, I know they’ll look back and say, “We did this together.” And at that point, Digital Marketing can take over and run its course. I’ll be sure to Like it and Share it on Facebook, but I have confidence knowing it all started with Analog Marketing. 1 Although I am still amazed at how many “public relations” companies just try to convince their clients to get on Facebook or Twitter because it’s like some sort of mandate. News flash: You don’t have to be on Twitter. A better question to ask: Is that where your people are? 2 Recognize that these are still good things and that this statement is not tongue-in-cheek. Just don’t start here. Don’t put your cart in front of your horse. 3 If someone’s quoted you over $100,000 for a website, pleaseâ€”call us. You’re most likely being lied to. 4 For the curious, we use three content management systems at our company: WordPress, Tendenci, and Drupal. The first and last are open-source CMSs that have created and cultivated wildly successful communities. We rely heavily on said communities and are infinitely grateful for the hard work these people do. The second in that list is a currently proprietary CMS our CEO wrote in the early 2000s to keep the company afloat after September 11. It’s currently in its fifth iteration and is still bread and butter to our business model. 5 Even more “ROI”-y stuff: The video had an initial push of around 1,500 plays. As we handed out the cards throughout the conference, the plays continually went up each day: 123, 141, 148, 154, culminating the last day of the conference, topping 200 plays at 202. To this day, we continually get double-digit plays from the video as it takes on a life of its own. We also continually get sales calls solely because they saw the video, liked it, and thought to themselves, “If they love Drupal this much to make a video, they must have a passion for it.” And passion breeds greatness. At the time of this writing, the video has over 4,600 plays and 33,400 loads. 6 Also a cornerstone of the business. A card is handed out to every new employee (and to a number of clients/potential clients) that not only lists the cornerstones of the business, but also our Mission and Vision and Schipul Honor Code. 7 I don’t intend to cheapen any form of Taoism or religion by comparing the concepts of Analog Marketing to a sacred text. I take the quote literally at its face-value: Go to where the people are first. It will literally support everything you do after that. *Updated* OhNoes! Where’s my UberTwitter/Twidroyd?! UberTwitter changed its name to UberSocial and is up and running! Download the new app. Twitter has suspended the popular third-party mobile applications UberTwitter (Blackberry smartphones) and twidroyd (Android phones). The Huffington Post reports that roughly, twenty percent of all daily updates to Twitter are sent using apps from UberMedia , the company that owns both UberTwitter, Twidroyd and TweetDeck (another popular third-party Twitter app). While the suspension doesn’t seem to have a due date, waiting it out may be tough for those already experiencing twithdrawls. Fear not, check out these other twitter apps for Blackberry and Android smartphones. Be a friend, RT this to someone in need…or send them the short link on Facebook. In an effort to lure users back to their site and away from 3rd party clients, Twitter is rolling out a slew of new features. The most important feature of the #NewTwitter will allow users to embed videos, photos and other multimedia directly into their streams. Followers will now be able to view these media-rich tweets without having to click on any external links. Instead they will access video, photos and live streaming content from the Twitter interface. The new UI (user interface) uses a two panel design that allows users to view their feed on the left and media content on the right. If the design looks familiar don’t be surprised. It is essentially the same design as the Twitter Ipad app. UPDATE: Twitter will launch a free real-time analytics dashboard later this year. If all these features sound great to you, you will probably have to wait to use them. Twitter is rolling out these changes over the next several weeks. In the meantime, check out this video showcasing the new Twitter design and features. I don’t know about you but I am perfectly happy with my 3rd party app. I have been using Hootsuite for over a year now and I love it. I can manage several accounts, assign users, view multiple streams, review account analytics, schedule tweets, attached files, images and watch video directly in the stream. Most importantly, I can access Hootsuite from any web browser. I wonder what took Twitter so long to adopt these basic functions to their site. Don’t get me wrong, once I’ve been upgraded to the new version, I’ll give it a go but something tells me that I will return to my beloved twitter app. How about you? Which twitter apps do you use and will you abandon them for the new twitter? Let us know in the comments. What does August mean to you? If you said football season, well I’d say you just earned yourself a gold star. Simply put, the world is a better place when you spend 10 consecutive hours, every Sunday, watching the gridiron madness. This year more than ever, we have the ability to be a part of the game via Twitter- witnessing a player’s thoughts pre-huddle, during the 60 and after the stadium has cleared. We are not just following bloggers who love the sport; we are following the guys down on the grass, feeling the pressure in the red zone. You will find that some players will inspire, others will talk trash and the majority will misspell common wordsâ€¦but collectively, their micro blogs Twitter streams are most definitely boss. Terrill is the Defensive Tackle for the Seattle Seahawksâ€¦and let’s not kid ourselves, he’s a whole lotta’ man. While he is not on the football field, he plays in a band surprisingly called, The Craig Terrill Band. Seahawk bowling day. I am on track for a perfect 300 right now. Poundsâ€¦that is. If Sanchez doesn’t pull this game out he always has ‘Entourage’ to fall back on. While he consistently over uses the acronym, ‘lolâ€, you can always count on Ryan Grant to provide entertaining banter with his teammates. And honestly, anyone that can laugh out loud this much are what we call, good people. Again, it was only a trim. It was starting to get a little out of control. If you loved him on Dancing with the Stars then you will most certainly love following Ochocinco – a lover, fighter and designer shoe connoisseur. While I commend his efforts, there will never come a day where I will take a man seriously with a reality show called, “The Ultimate Catch.” Get it? He’s a wide receiver and he catches the ball…you’re so clever Chad. If you are living in Houston and want to literally follow a local player – Brian Cushing is your man. He will keep you up-to-date on exactly where he is at all times which leads me to believe he is unaware of his 10,777 followers . Come on Cushing, we all know there is only one bowling alley in Bellaire (Palace Lanes). Bowling w/ the team over in Bellaire. Ok, your turn – tell me about an NFL player that keeps you entertained via Twitter! As with many organizations during this time, the answers have not been easy to come by. The main conflict is the ages of the respective audiences. The group actively using social media on the internet and their phones is considerably younger than the audiences taking in performances at Jones Hall and the Wortham. The great fear for some patrons is the degradation of the theater experience like we have seen in our movie theaters. Others find the behavior of these tech happy people abhorrent, and too unsophisticated for the filigreed temples of the arts. Honestly? They’re right. Going to a performance is an experience between you and the artists. It is an intimate relationship that sometimes requires the full attention of the patron. Imagine yourself locked in a passionate embrace of your significant other. They are holding you in their arms tightly, stroking your hair, nibbling at your ear. When, all of a sudden, he or she pulls out their phone to send a tweet. That moment is, as they say, spent. Now, with that same scenario, imagine if a stranger interrupted this moment to post your picture on Facebook? We’ll call this phenomenon Theaterus Interruptus. This is not behavior anyone here at Schipul would be likely to encourage, however, we also see the strong need for a conversation about the use of social media and mobile phones within the construct of a night at the theater. In the coming weeks, I want to open up a dialog with arts patrons and enthusiasts about the use of social media in our performance spaces. I will introduce you to different sites and apps that I feel have great potential, and hopefully develop a set of rules we all can follow to help expand our enjoyment of the theater-going experience.